We arrived at the beautiful new Quito, Ecuador airport last night. Driving into Quito, it was apparent that Quito is a more modern city than Lima. In 2013 Quito was named the most interesting city to visit in South America. It was great to meet our trip leader, Daniel, and get an orientation to our trip. Daniel is a fifth generation Galapagos resident whose family has lived in Galapagos for 120 years. Ten years ago Ecuador passed a law that only people born on Galapagos could lead tours on Galapagos. There is so much to love about Ecuador. It is beautiful and eco-sensitive. Unlike in Peru where we were given plastic bottles of water every day, here we are encouraged to refill our reusable water bottles. Ecuador is the most bio-diverse country per unit in the world and in 2008 was the first country to adopt the legally defensible Rights of Nature, which are eco-system rights. With flowers being its fourth largest export (after oil, bananas and shrimp), we see beautiful bouquets everywhere. Our day started with a visit to the hear the Sinamune Disabled Children’s Orchestra perform. Students may begin the program when they are nine and continue until they graduate or are still progressing. I don’t think any of us were prepared for the quality and exuberance of the concert. Although it was Sunday and school was not in session, parents brought their children to the school so they could perform for us. The dancers and musicians charmed us with their talent, spirit and joy. The orchestra has performed at the Vatican, and some of the students have become professional musicians. Driving through Quito we saw bikers, runners and walkers enjoying the main roads that are closed to traffic on Sundays from 8AM-2PM. The Sunday bike road covers thirty two miles of Quito’s thirty-five mile length. 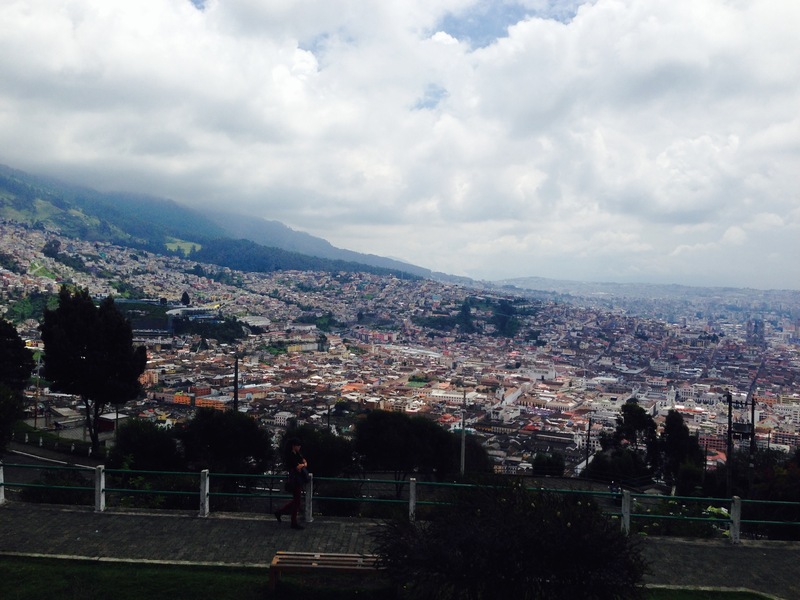 From Quito’s highest point, we were able to look out over the expansive city. 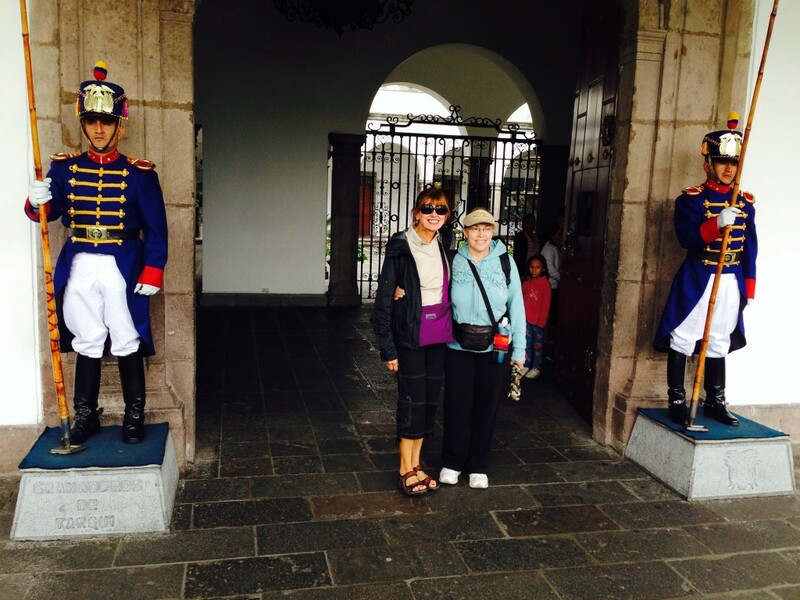 We took a walking tour of Quito’s historic district. 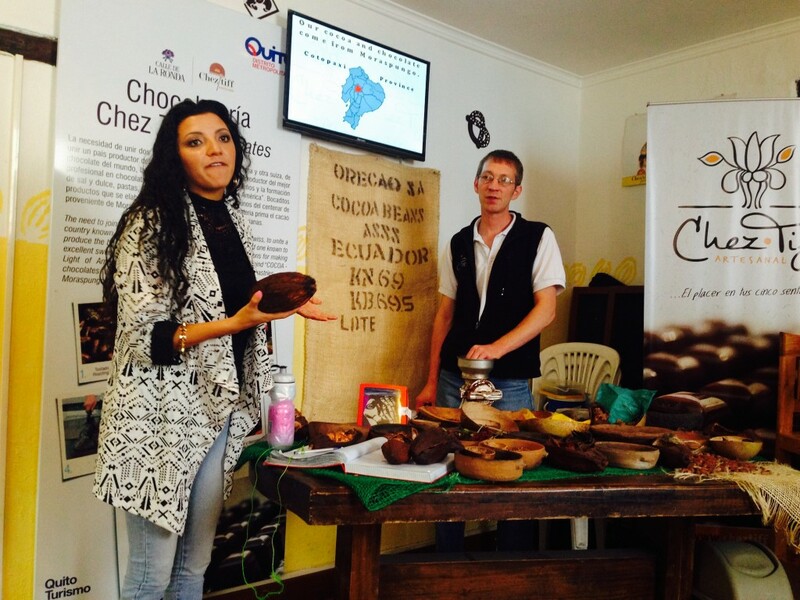 A definite highlight for me was a stop at a chocolate shop where we learned how chocolate is grown and produced. Only five percent of all chocolate in the world is “fine” chocolate, and Ecuador produces sixty percent of that five percent. Other highlights of the walking tour included visits to a number of plazas where people gathered on a Sunday afternoon to enjoy outdoor mass and performances and a stroll on the La Ronda, a historic narrow street. At Independence Plaza we saw a monument to the people who signed the first South American petition to Spain asking for independence in 1810. A year after the petition was signed and sent to Spain, Spanish soldiers came and murdered every person whose name was on the petition. 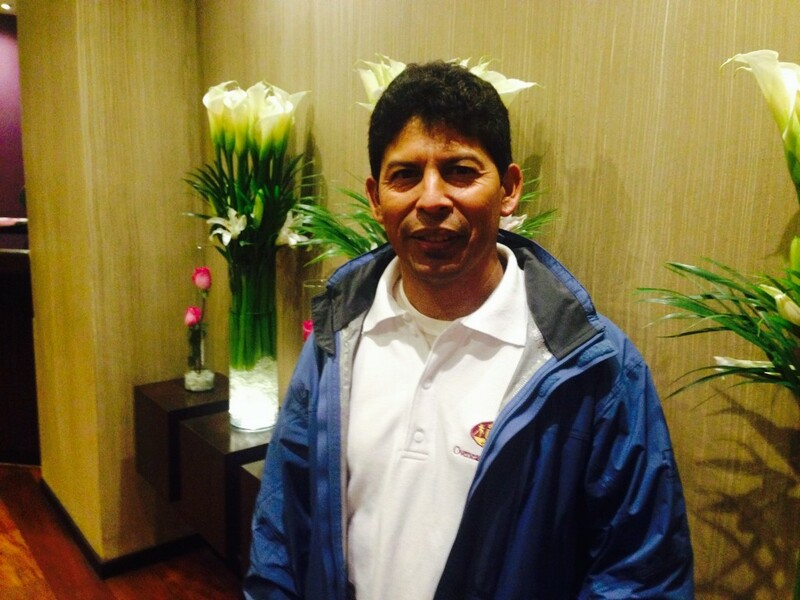 There was not one family in Quito who did not lose someone. We had lunch at Casa Gangotena the sixth best hotel in the world according to Trip Advisor. The hotel had been a private home until the family evacuated the home after a fire. 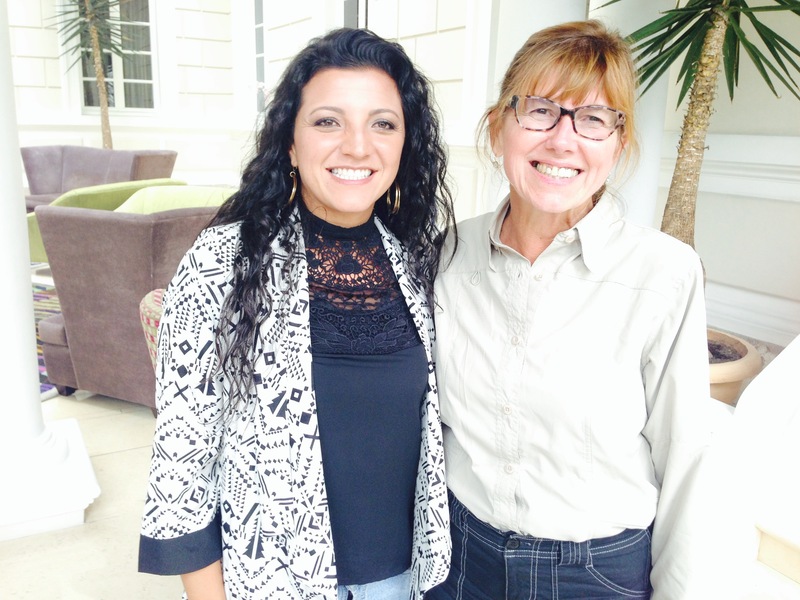 Our Quito guide, Fatima, delighted us with information about her country. She told us about Ecuador’s national park that is the wildest place in the world and is now threatened by the oil industry. Oil has been found under the park, and there is conflict about park preservation versus oil production. 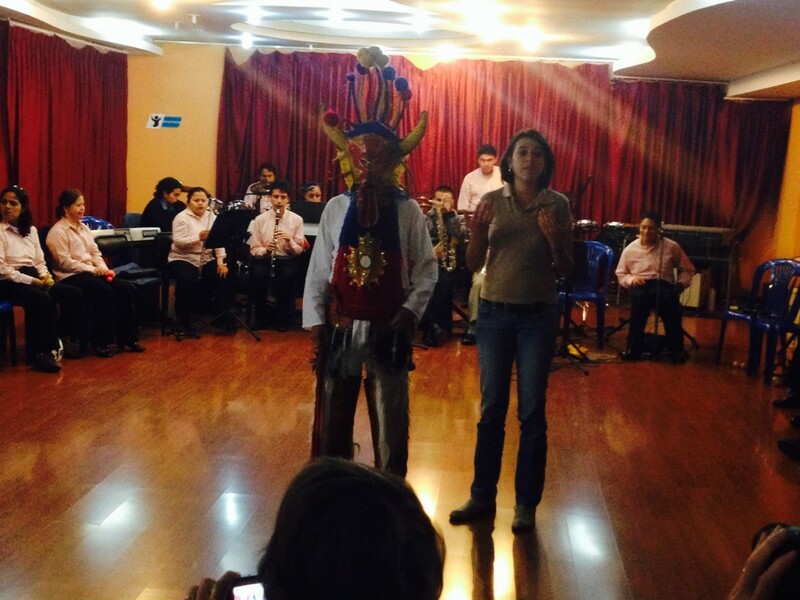 We also learned about two native tribes of wild people still living in Ecuador. One tribe will let people visit if they bring Coca-cola. Early tomorrow morning we leave for the Galapagos and another new adventure. This entry was posted in Peru 2014 on April 27, 2014 by debbie.